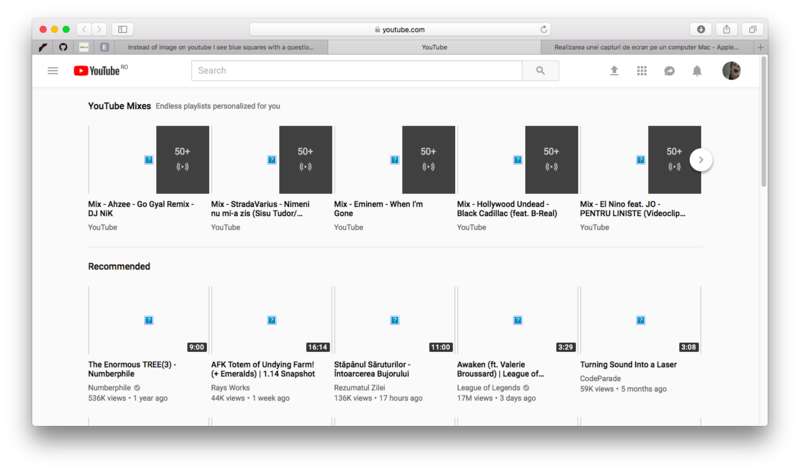 On YouTube webpage, instead of the video thumbnail images, I see only a blue box with a question mark in it. Any video on YouTube does not seems to work either. Can anyone help me? I am not able to find a proper way to solve this error. Browse other questions tagged macbook mac error youtube . How to download HD Youtube video on iOS? How to upload HD video to YouTube using unlimited 4G LTE on iPhone?